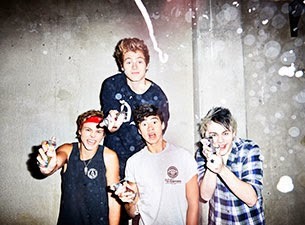 5 Seconds Of Summer have been everywhere this past year. Whether its radio play, TV appearances, at award shows.. you name it. But we didn't expect to see member Michael Clifford make an appearance in the new Mastercard commercial. You can watch the guitarist's (very slight) 2 second appearance in the ad below.